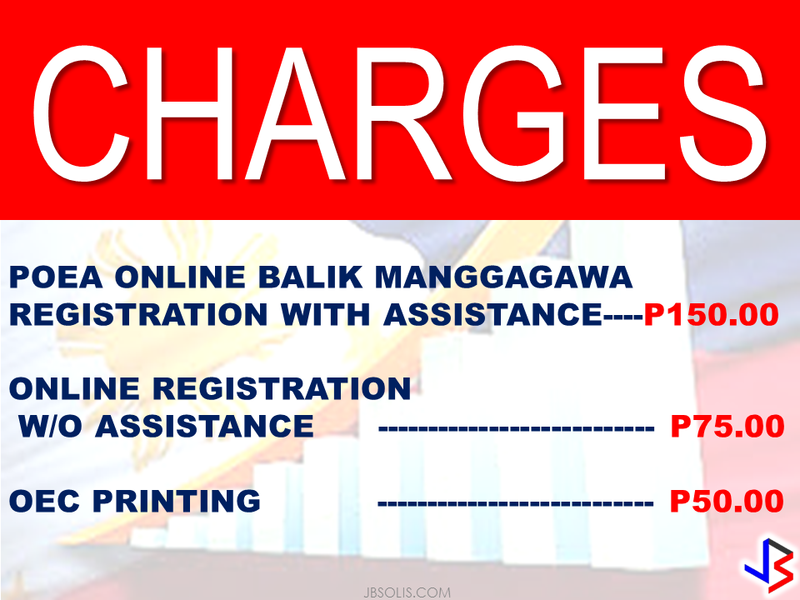 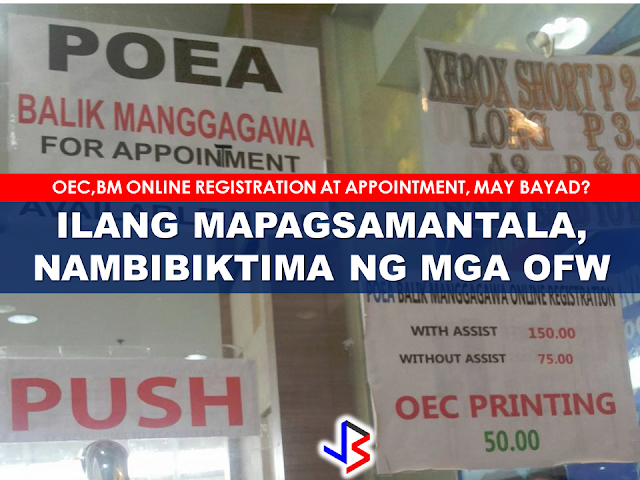 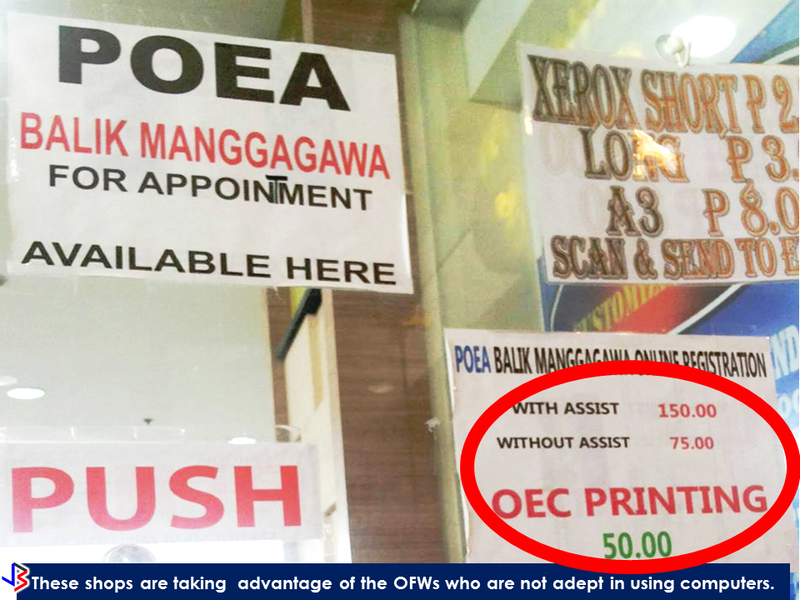 A shop near DFA Regional Office in Pampanga has ventured into a new "business", charging OFWs who want to make "balik manggagawa" online appointment or print their OEC. 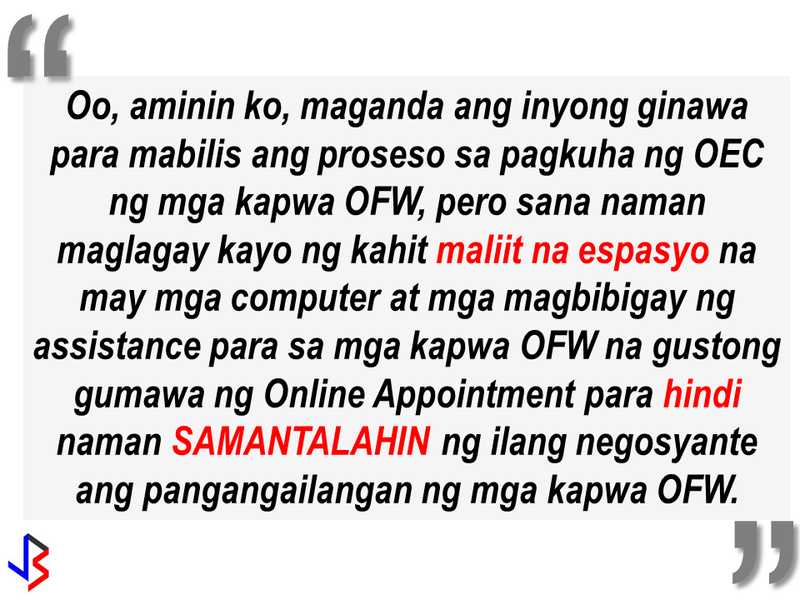 A facebook user who is a fellow OFW posted about the abusive practice of some shops near DFA offices, taking advantage of the OFWs especially those who are not adept in using computers and not well-versed in internet navigation. 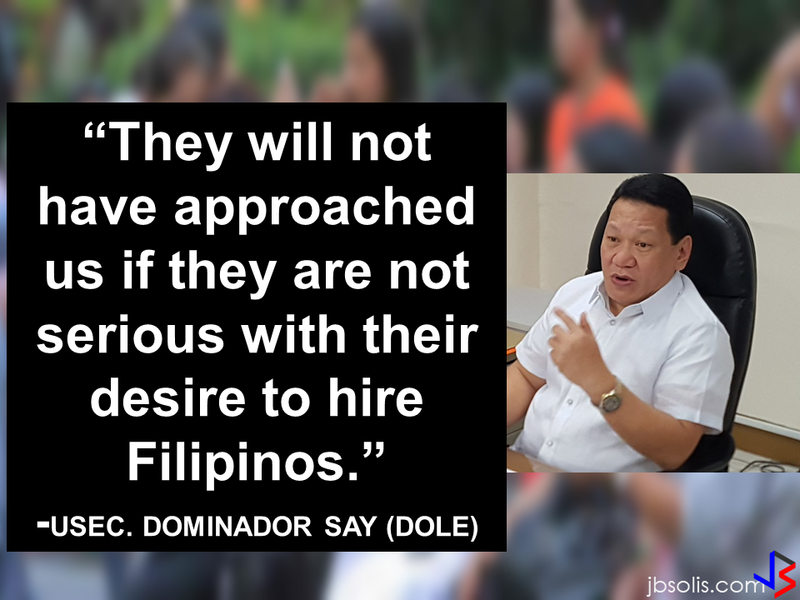 The photo is said to be taken near DFA Regional Office near Robinsons Pampanga. 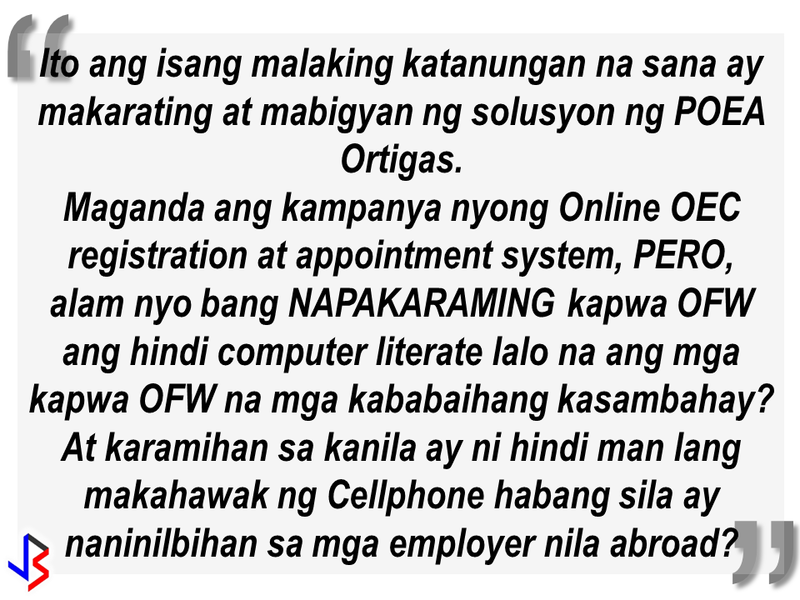 He is trying to call on the attention of POEA Ortigas to act by providing a small place with a computer and a personnel to assist OFWs to avoid being victimized by some greedy business people. 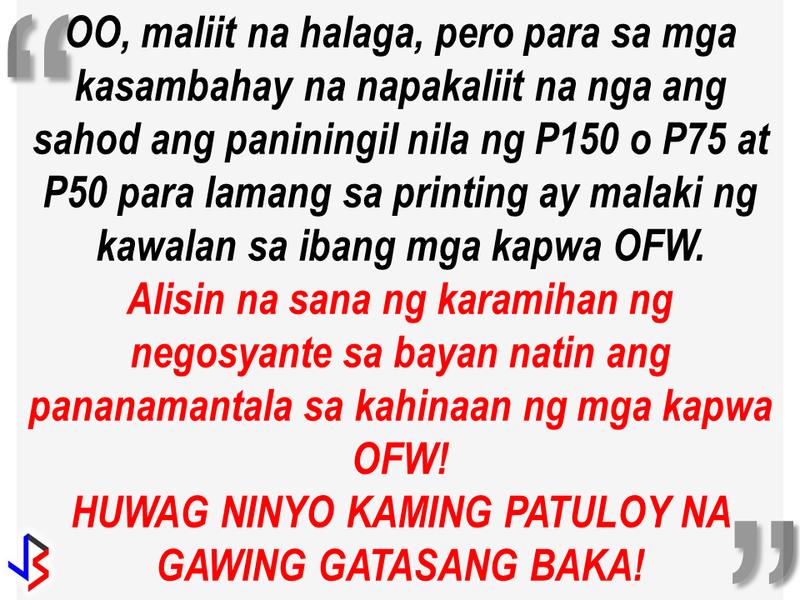 The impression of other people about OFWs are people with lots of money but they should understand that not all OFWs are rich. 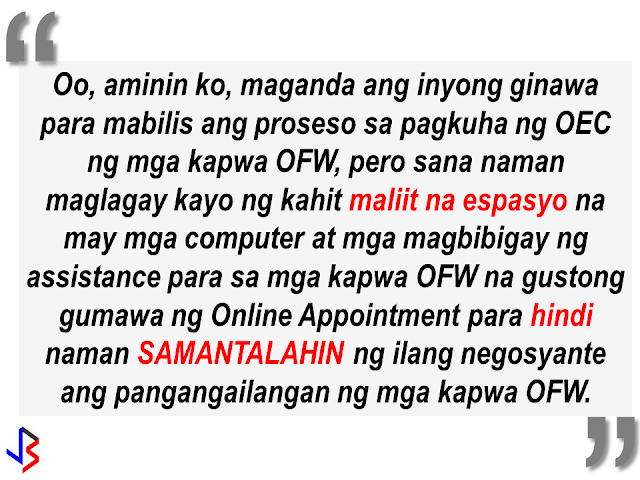 Most of the OFWs especially the Household Service Workers has only enough salary for their day-to-day expenditures. 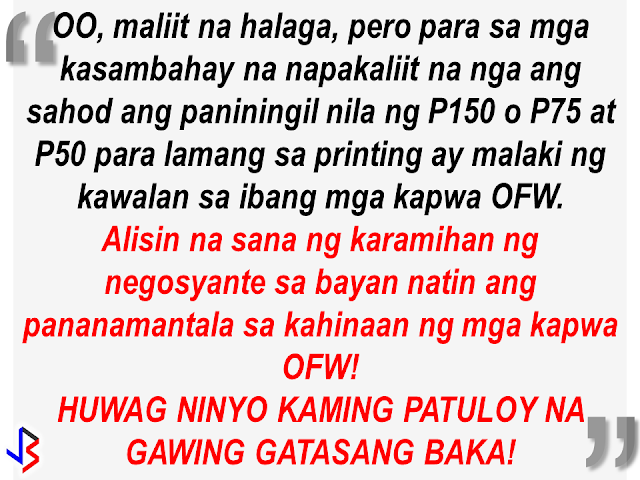 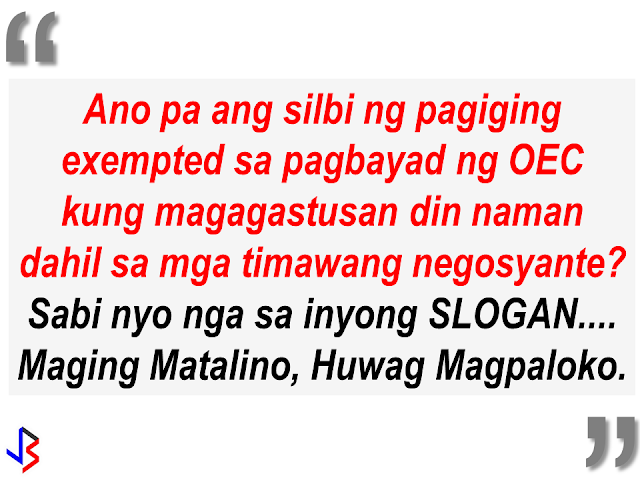 POEA must do something to address this issue. 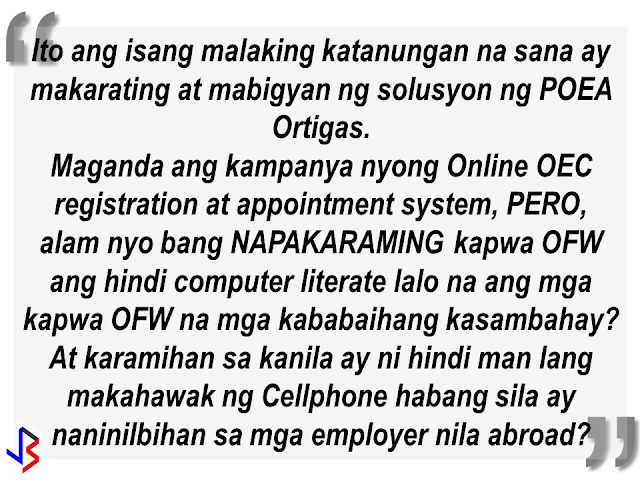 By doing it, they can help thousands of OFWs and families by preventing them from falling victim to the scammers around.